YouTube is inspiring viewers across the globe to protect Hawaii’s Laysan albatross — but will that be enough in the face of climate change? 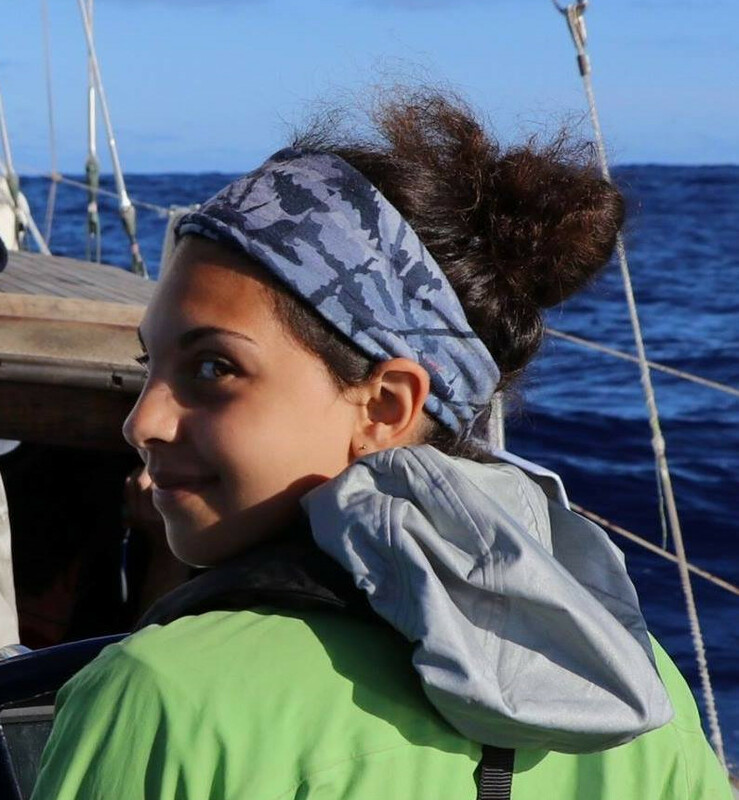 It had been six weeks since Jett, a Laysan albatross, had lifted off the volcanic Hawaiian soil and soared over the Pacific in search of squid. He had not returned. His black-and-white-feathered mate, Bennie, was now their daughter’s sole caretaker, and the effort was exhausting her. Each day that passed saw the daughter, a small ball of gray fluff named Kiamanu, growing ever-hungrier from lack of food. In April 2018 members of a Kauai seabird-rehabilitation group called Save Our Shearwaters declared Jett deceased, although exactly what happened to him remains a mystery. Perhaps he’d been snagged in an industrial fishing line or caught in a bad storm. In Jett’s absence, staff from the group visited his nest, where they examined Kiamanu. She wasn’t gaining enough weight from Bennie’s feedings alone, so they decided it was necessary to supplement her diet. But hiring a licensed wildlife rehabilitator to provide regular check-ups and feed Kiamanu every day with calorie-rich squid slurries would cost about $3,000 — and there was no coverage for that expense in budgets already stretched thin. Finding funding to save Kiamanu’s life became an urgent priority. Luckily, Save Our Shearwaters knew just whom to ask for help: The tens of thousands of people all over the world who were watching Jett, Bennie and Kiamanu online through the Cornell Lab of Ornithology’s “TrossCam,” which livestreams albatross activity daily on YouTube. It’s just one way that the TrossCam is inspiring efforts to conserve these threatened birds. A recent TrossCam screen grab. According to Osterlund, more than a million people from “virtually every country in the world” have tuned into the cam since it was set up in 2012. 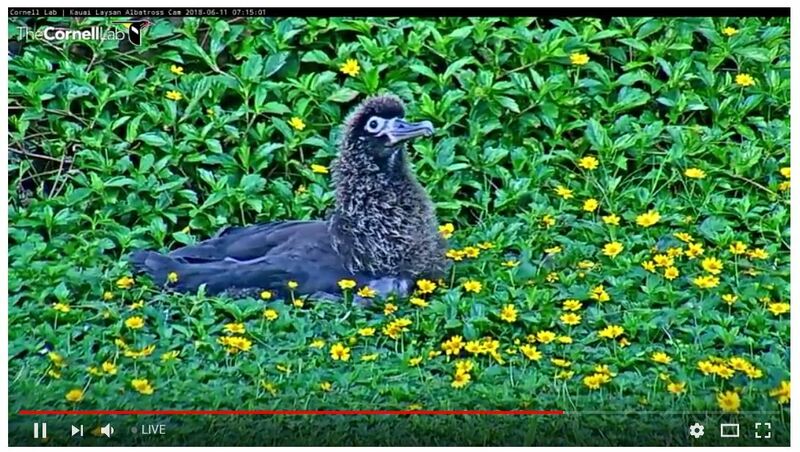 Viewers engage in lively conversations on Twitter and Facebook as they watch Laysan albatrosses (Phoebastria immutabilis) mate, nest, lay eggs and raise chicks at sites on Kauai between November and July. (Laysans spend the rest of the year living at sea.) The exact locations of the nests aren’t disclosed to keep the birds safe. After that moment was broadcast live, viewers immediately wanted to know more — and many changed their behavior. “Multiple viewers reached out following this experience to remark on how little they knew about the issue of plastics in the ocean, and that they were going to work to change their own lives to reduce the amount of plastic waste they are generating,” says Charles Eldermire, project leader for Cornell Lab of Ornithology Bird Cams. Plastic, according to the Cornell Lab, is a major threat to albatrosses. More than 90 percent of the world’s seabirds, including albatross, have ingested plastic at some point in their lives. On Midway Atoll, an uninhabited former military base about 1,500 miles from Hawaii where more than 70 percent of all Laysan albatrosses nest, albatross parents unintentionally feed their chicks more than five tons of marine plastic each year. But Lindsay Young, executive director of Pacific Rim Conservation, says while plastic is a serious threat today, it’s not nearly as concerning as the long-term effects of sea-level rise. Based on current sea-level rise trends, many experts fear that a 15-acre spit of Midway and all low-lying areas of the other two Midway Islands will be completely inundated by 2100. The International Union for the Conservation of Nature estimates that the Laysan albatross population, currently stable, will rapidly decline over the next 80 years as sea-level rise intensifies. To help mitigate this risk, conservation groups on Hawaii, including Pacific Rim Conservation, are already working to establish flood-safe high-elevation nesting habitat for Laysans. Once again, the TrossCam just might be the best tool conservationists have at their disposal to educate the public and move them to action. 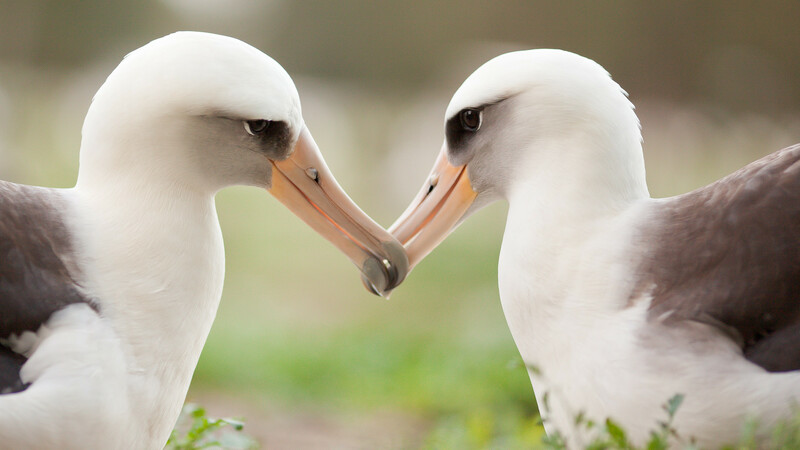 People exposed to both the beauty and harsh realities of life for Laysan albatrosses do appear more inspired to care. The TrossCam has saved Kiamanu’s life, and perhaps it will save many other albatrosses going forward. “Once viewers watch the cam they almost cannot help but fall in love,” says Osterlund. “Once in love, they are eager to learn more about the birds’ life cycle and risks” — and, she adds, are more likely to contribute to and support the creation of new nesting habitat and other conservation efforts. To avoid major losses of Laysan albatrosses, allies like Osterlund say they will have to act fast — and together. Millions of YouTube viewers just might make that possible. © 2018 Erica Cirino. All rights reserved. Disclosure: The writer previously received a conservation fellowship from the Safina Center. is a freelance science writer and artist based in Copenhagen. She travels the world to cover stories about wildlife and the environment, specializing in conservation, biology and policy. Lately she has been very focused on the issue of plastic pollution. Her work appears in Scientific American, VICE, Audubon and other popular science publications.